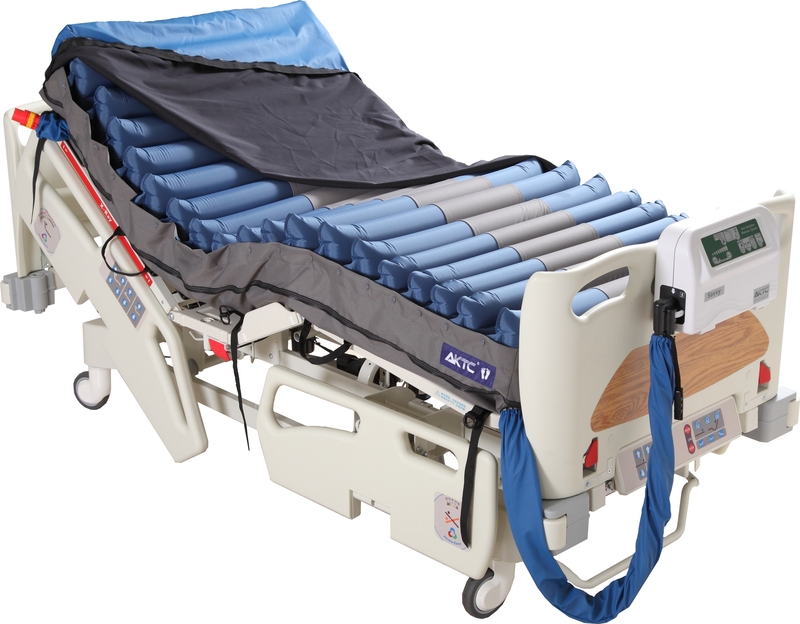 AKTC offers full range of alternating pressure air mattresses systems from overlay, replacement, to advanced True Low Air Loss system. The products are designed to be effective for pressure ulcer management and prevention. You will always find suitable products whether for homecare or hospital with our completed product line. 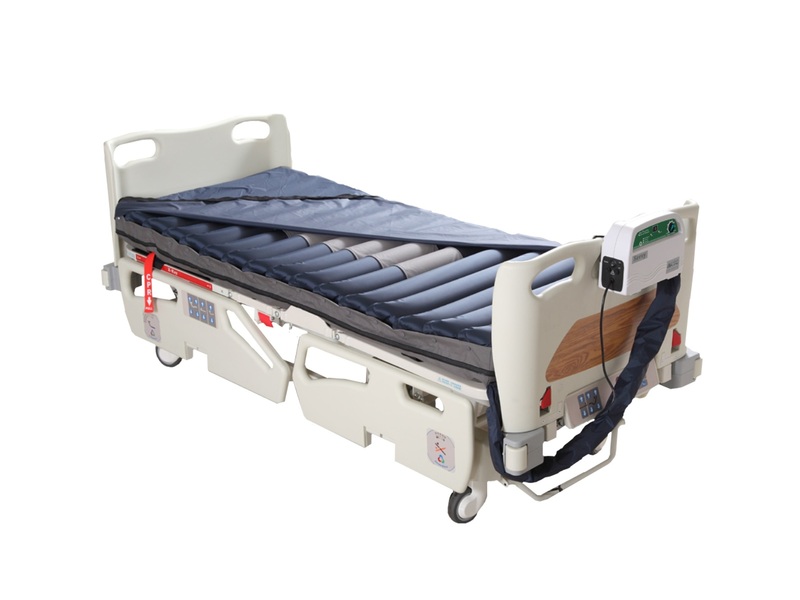 The Elite Series dynamic mattress overlay system provides effective therapy for pressure ulcer prevention at an affordable cost with high quality TPU coated nylon air cells. 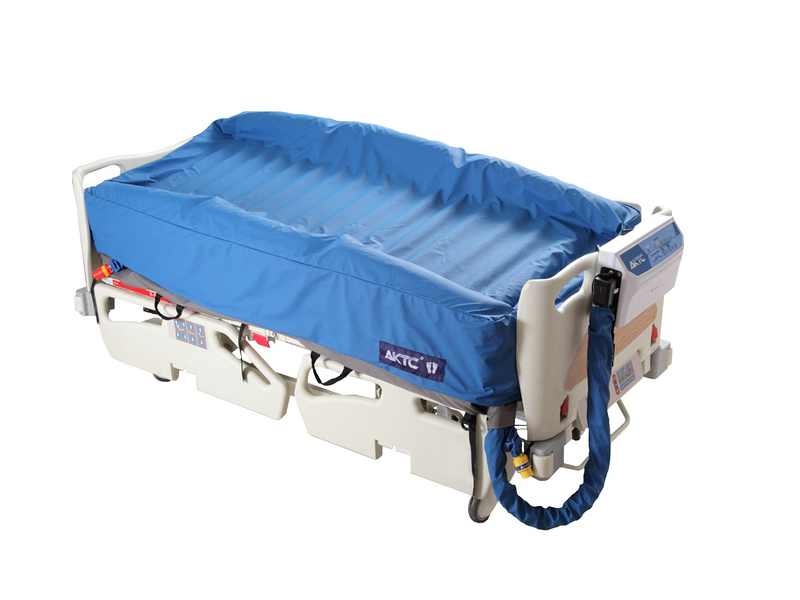 The 4” or 5” mattress overlay with our mechanical or semi-digital pumps is ideal for patients at medium to high risk of pressure ulcer development. 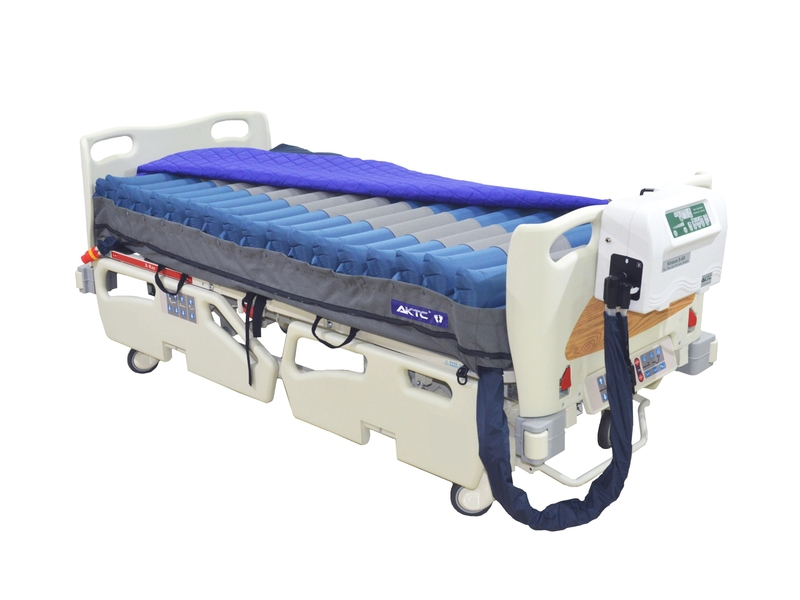 The Optimal Dual Series dynamic mattress replacement system provides effective therapy with reliable high quality TPU coated nylon air cells or high quality, pliable, shear force reduced TPU-ether air cells for pressure ulcer prevention. The 8” mattress replacement with our dual compressors digital pump is ideal for patients at medium to very high risk of pressure ulcer development. 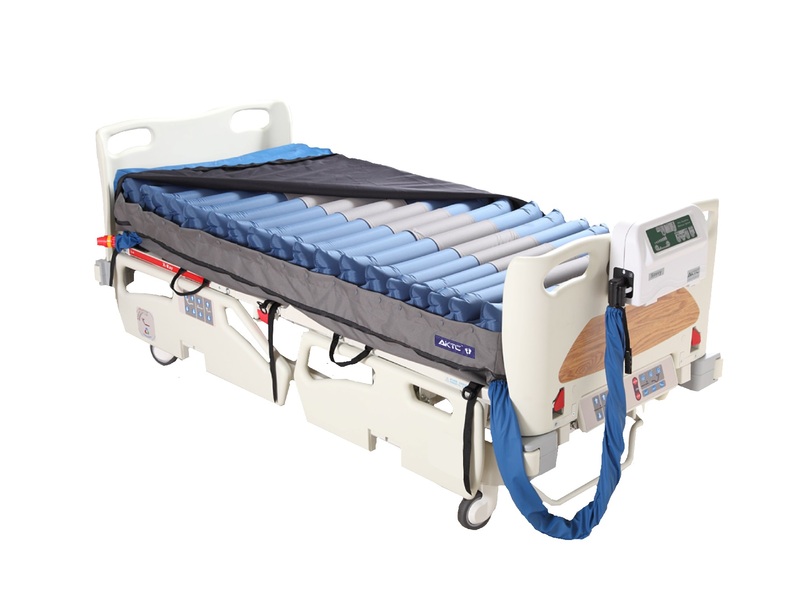 The Optimal Pro Series True Low Air Loss dynamic mattress replacement system provides effective therapy with reliable high quality TPU coated nylon air cells or high quality, pliable, shear force reduced TPU-ether air cells for pressure ulcer prevention. The 8” mattress replacement with our high volume liter per minute airmoving-blower digital pump is ideal for patients at very high risk of pressure ulcer development.